The Highways Department for the Government of Hong Kong Special Administrative Region (SAR) is building a mega-size sea crossing to link Hong Kong, Zhuhai, and Macao. Vehicles will enter and leave Hong Kong through new boundary crossing facilities on a 150-hectare reclaimed island. The Leighton-Chun Wo Joint Venture (JV) won the $4.6bn contract to construct the Passenger Clearance Building and associated works. As the lead on BIM utilisation for contractor works, Leighton Asia used Bentley’s BIM technology as the common platform for anticipating and rectifying construction problems, as well as building the as-built digital model for delivery to the Highways Department. Leighton Asia’s innovative BIM strategy saved about 12% of the construction budget and 15% of the Survey Department budget. The 50km-long Hong Kong-Zhuhai-Macao Bridge (HZMB) will cross the Pearl River Estuary in south China and will be the world’s longest sea-crossing span, largest bridge-tunnel complex, and deepest underwater tunnel. A joint undertaking of the governments of Guangdong Province, Hong Kong SAR, and Macao SAR, the US$10.6bn crossing will connect the region’s three most populous cities to meet the demand for passenger and freight transport and enhance economic and sustainable development. The Hong Kong-Zhuhai-Macao Bridge Authority is responsible for the HZMB’s construction, operation, maintenance and management. In addition to the series of bridges and tunnels that comprise the main bridge, this large-scale infrastructure project includes three link roads connecting surrounding territories to the HZMB, which will further reduce driving time along the Hong Kong-Zhuhai-Macau route from four hours to 45 minutes. As part of the Hong Kong Boundary Crossing Facilities (HKBCF), the Passenger Clearance Building will house customs and immigration facilities on 130 hectares of the reclaimed land adjacent to Hong Kong International Airport. The JV team was responsible for construction of the Passenger Clearance Building, drop off deck/area footbridges, and district cooling system for the facilities. The scope of this contract included bored pile foundations, reinforced concrete structures, profiled steel roof, curtain walling and glazing, mechanical and electrical work, and architectural finishes. A separate contract included ancillary buildings, facilities and civil works. Construction of the project began in 2014, and the Passenger Clearance Building was targeted for commissioning by the end of 2017. The size of the 40,000 sq m building presented the JV team with significant challenges. The building’s 30 metre height made installation of the complex steel roof particularly problematic. There was also an enormous underground utilities network with 385km of utilities. These works were covered by eight subcontracts, which required coordination among two consultants, eight main contractors, and numerous subcontractors. Leighton Asia chose Bentley’s BIM technology as the comprehensive civil BIM platform capable of handling large-scale infrastructure. 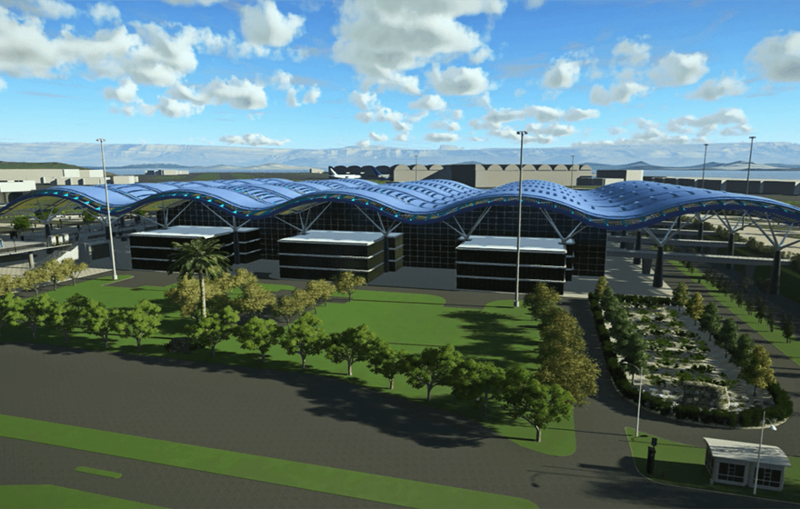 The civil BIM platform was created using several Bentley applications, including AECOsim Building Designer, Descartes, LumenRT, Navigator, ContextCapture, MicroStation, OpenRoads, and ProjectWise. Adopting a BIM-enabled approach offered the JV team several advantages. The platform facilitated communication and collaboration among all participants. Bentley’s civil software enabled Leighton Asia’s survey team to organise and analyse the 2D drawings submitted by contractors and convert their designs into up-to-date 3D models. 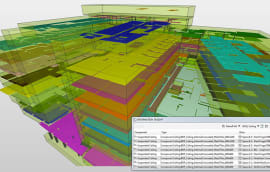 Based on MicroStation, Bentley’s modelling, documentation and visualisation software, the BIM platform facilitated contract management by allowing models from the eight contracts to be combined into one georeferenced 3D model. Using BIM technology, the JV team anticipated and rectified problems early in the construction process. Discrepancies between contracts were resolved and affected parties were notified about changes. The BIM platform also ensured a mutual understanding of materials and dimensions. Leighton Asia closely monitored construction progress using the BIM model to simulate work execution by various departments. These simulations assisted cross-communications and avoided delays. The Passenger Clearance Building’s wavy steel roof was a signature design feature and one of the major construction challenges of the project. Each steel roof segment was 60 metres long, 25 metres wide, and weighed more than 670 tons. Given the height restrictions imposed by the nearby airport, the constructors elected to use a horizontal installation method. The fabrication and preassembly stages were performed at multiple locations to progress the roof’s construction at twice the usual rate. Simulating the construction schedule using the BIM model identified and resolved potential safety issues. Leighton Asia partnered with Bentley channel partner The Earth Solutions to construct and maintain a geo-referenced as-built 3D model. 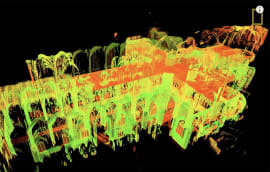 Leighton Asia’s survey department performed 3D laser scanning of the construction progress. The point cloud data was processed with Pointools and Descartes to create as-built models. The survey team compared the 3D design models to the point cloud as-built models to assess the accuracy of the work. The process was integral to the project’s quality assurance program. By continuously updating the as-built models, the survey team created accurate as-built BIM models suitable for facility lifecycle management by the Highways Department. The cost-effective method pioneered by the Leighton Asia Survey Department streamlined the workflow, saving 15% of the survey budget. 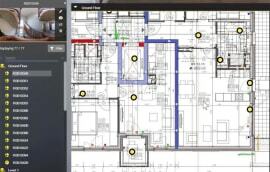 Bentley software provided the capabilities required to enhance communication and collaboration at all stages of construction. 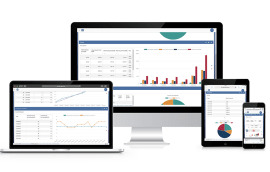 The JV team used ProjectWise as the primary information-sharing platform. The project information management and collaboration software ensured all disciplines had access to up-to-date files stored in a central location. MicroStation provided the common platform for viewing and managing models. 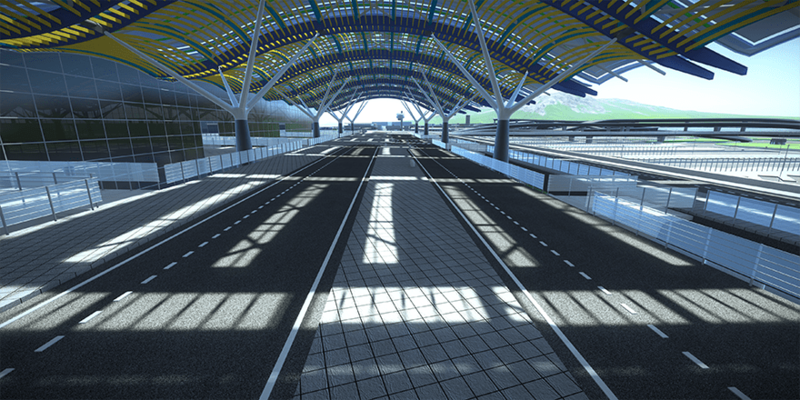 When road profiles were created in OpenRoads, for example, the files were added to the civil BIM in MicroStation. This model was later exported in iModel format for review and comment during site inspections. To help officials and the public visualise construction site progress, LumenRT reality modelling software was used to create presentation videos. Bentley’s visual capabilities for BIM-enabled clash analysis resolved more than 3,000 clashes in the underground utility network alone. The BIM technology not only anticipated and resolved discrepancies among designs but also provided the visual capabilities that made it easier for all parties to understand and correct the problems. By using MicroStation to rectify problems before construction, the JV team reduced miscommunication and rework. 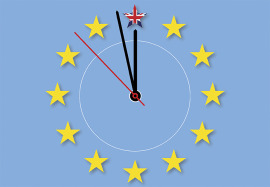 The early detection and resolution of conflicts saved about 12% of the construction budget. Despite significant challenges, the JV team was able to incorporate other disciplines in the civil BIM process and accommodate multiple software vendors for every discipline. The project team set aside traditional workflows and learned how to use new BIM technology with the help of training and technical support by partners such as The Earth Solutions. By enhancing communication and collaboration among the project participants and visualising conflicts between design disciplines, the civil BIM platform improved accuracy, reduced remedial work, enhanced safety, and lowered resource hours, all contributing to significant cost savings. Based on the lessons learned on the HKBCF project, Leighton Asia’s Survey Department saw the benefits of a civil BIM platform multiply — from a 15% savings in the survey budget, to a 12% savings in the total construction budget.